Category Archives for "Blogger Templates"
Emoticon on thread comment area. 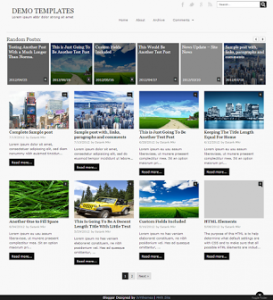 Load More Post with Ajax. There are 5 color options are Blue, Green, Red, Orange and Turquoise. 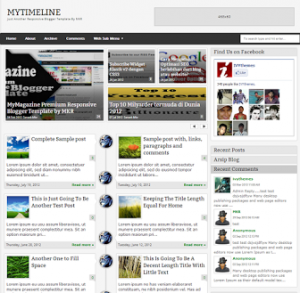 Descriptions: MyTimeLine is beautyful responsive blogger template layout with many future. 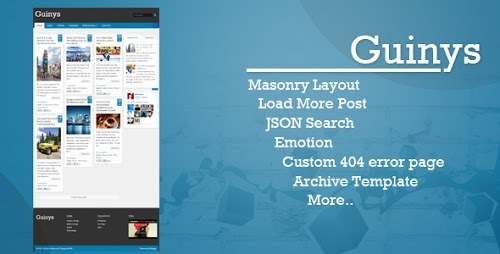 It’s 2 columns and 3 columns footer with right sidebar the color is black, white and blue with top navigation menu, social media share icon, slider widget sidebar, JSON search result, emoticon, featured post (random post/recent post can setup by tag/label), recent post, recent comments and more. 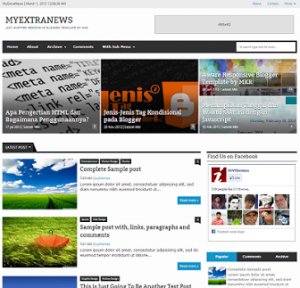 Descriptions: MyExtraNews is beautyful responsive blogger template layout with many future. It’s 2 columns and 3 columns footer with right sidebar the color is black, white and blue with top navigation menu, social media share icon, tab widget siderbar, JSON search result, emoticon, random post, recent post, recent comments and more. 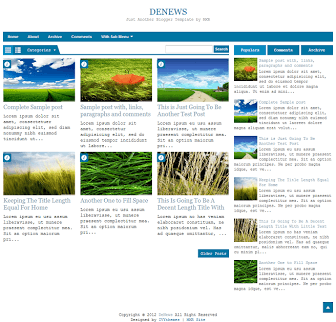 Descriptions: Aware is beautyful responsive blogger template layout with many future. It’s 2 columns and 3 columns footer with right sidebar the color is black, white and turquoise with top navigation menu, social media icon, tab widget siderbar, JSON search result, emoticon and more. 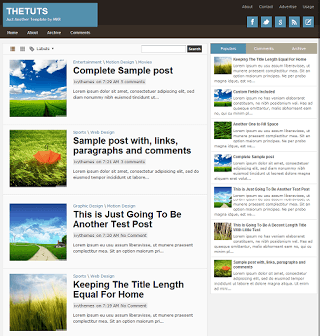 Descriptions: TheTuts is beautyful responsive blogger template layout with many future. It’s 2 columns and right sidebar the color is black, white and blue with top navigation menu, tab widget siderbar, JSON search result, emoticon and more. Descriptions: DeNews is beautyful responsive blogger template layout with many future. It’s 2 columns and right sidebar the color is black, white and blue with top navigation menu, tab widget siderbar, JSON search result, emoticon and more. 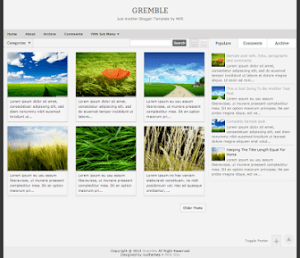 Descriptions: Gremble is beautyful responsive blogger template layout with many future. It’s 2 columns and right sidebar the color is black, white and grey with top navigation menu, tab widget siderbar, JSON search result, emoticon and more. Guinys is a blogging template done for Blogger CMS. 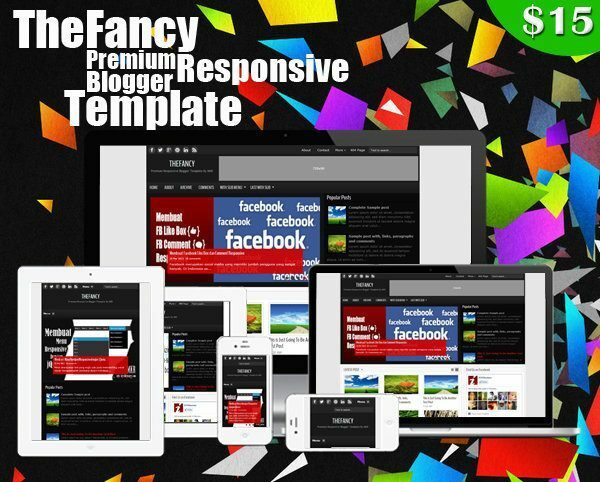 It’s an elegant, modern and responsive layout and is great to use as a portfolio or photography.